Ever found yourself watching a film that’s set somewhere far off and beautiful and you suddenly want to leap straight into the screen and on to that gorgeous beach, stunning countryside or happening cityscape? Yup, us too. 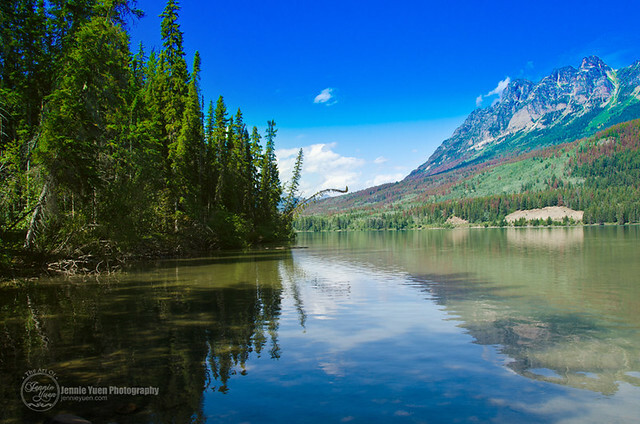 Which is why we compiled a list of our favourite movie locations. If you can’t go there, at least you can dream, right? He has starred in epic films like Titanic, Blood Diamond and The Wolf of Wall Street and has famously dated some of the hottest supermodels ever. Yet despite being one of the most talented actors of his generation, Leonardo DiCaprio has not yet won an Oscar! But that could all change on the 28th February, for Leo is once again nominated, this time as Best Actor for his latest film The Revenant. Why does he deserve a win? Long story short (with minimal spoilers) – he’s battled the most fearsome of grizzlies, slept inside a horse carcass and ate a bison liver. Raw. More than enough reasons some might say? Love him or hate him, Leo seems in the spotlight to stay. And while fans may already feel like they know everything there is to know, there may be a few surprising facts you didn’t know? You’ll should find most of them all here in our special Oscar tribute to a modern movie icon. 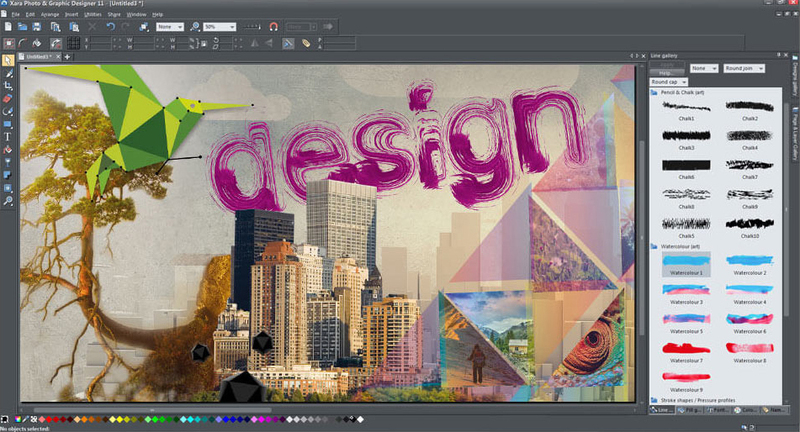 Xara Photo & Graphic Designer 11 by MAGIX Software is an image editing and graphic design program that allows you to give your photos a special touch and create your own drawings & illustrations. 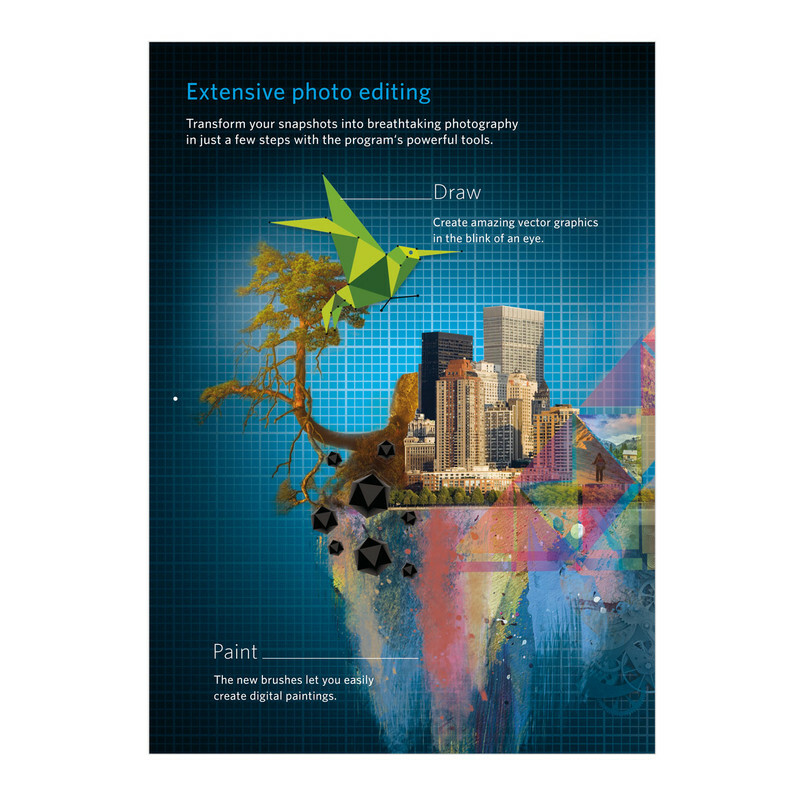 It is simply the most flexible and time-saving all-in-one solution for creating impressive graphics with powerful image editing and photo tools, professional design templates and flexible page layout features. I was really excited to try out the program on my new laptop that my hubby got me for Christmas. I finally have the portability to work on my projects wherever I go and show the work to my clients during our meetings. Downloading and installing this software is simple and quick. At first, I wasn't sure if I needed the program, but I'm glad I have it now. It has been a crazy week with deadlines and projects. I was able to put my creative ideas quickly and efficiently. When I need inspiration or ideas, I like that the software includes a large collection of templates that are fully customizable. 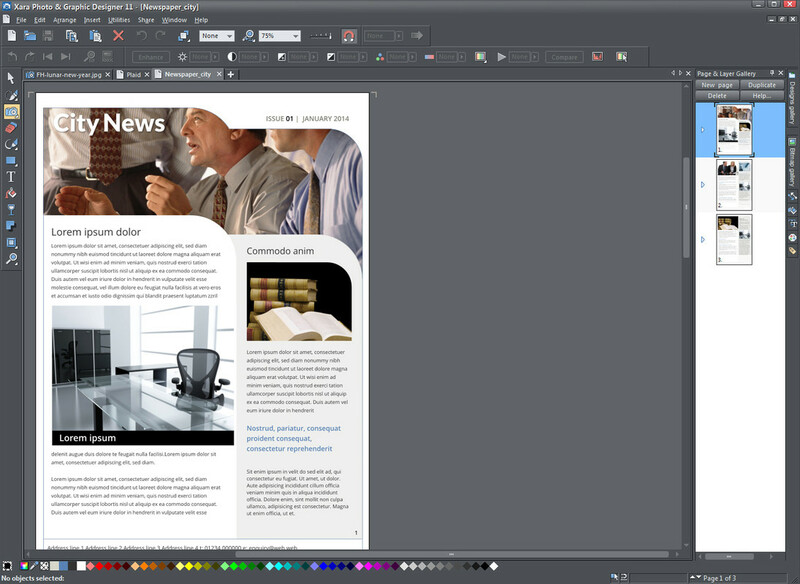 If you can't afford to buy Adobe Photoshop and/or Adobe Illustrator, then Xara Photo & Graphic Designer 11 is the affordable solution. Disclosure: I received the full version of MAGIX Xara Photo & Graphic Designer 11 software at no charge from Magix.com in exchange for a review of my opinion. The opinions expressed are my own personal and honest thoughts. No other compensation was given. 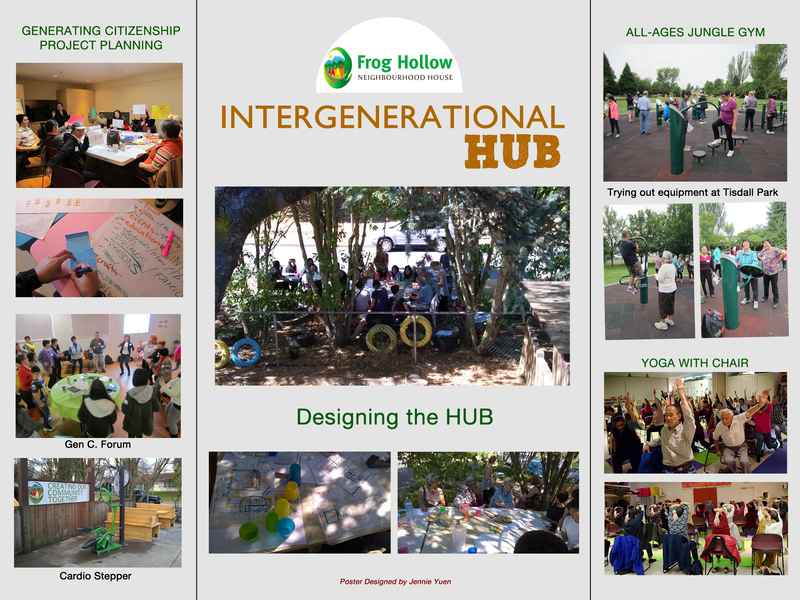 On February 18th, Frog Hollow (the Neighbourhood House I volunteer for) had a Lunar New Year Celebration as well as their "Intergenerational Hub" Launch. It was a successful turnout. I had the opportunity to spend some time with the staff and learning about the project and planning the event. It was a fun and exciting event where the community celebrated the Chinese culture with music dancing, food & refreshments, and even a Chinese lion dance performance. Some of the lovely staff that I volunteer for and work for at the Neighbourhood House. Making fish paper craft from red packets. 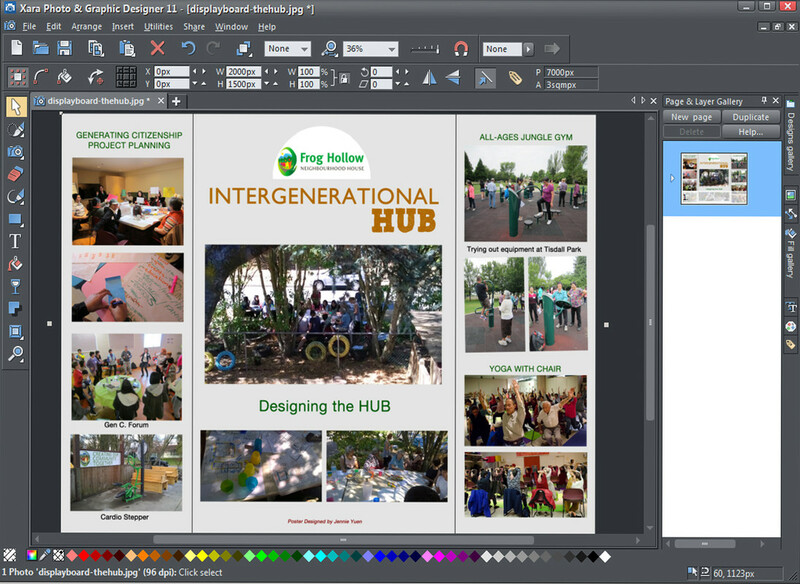 As for the Intergenerational Hub, it is a project that is planned by various staff and volunteers. The purpose is to get the community involved with activities within the neighborhood. Frog Hollow recently had the Cardio Stepper as well as benches installed at the site along the entrance. Intergenerational means "the interaction between members of different generations." For example: youth and seniors exchanging knowledge and skills with each other. Areas of THE HUB include asset map & community walk, technology, The Hub development itself, out-trips, and workshops. Welcome to the 1byone Portable Bluetooth Speaker Giveaway! This Portable Bluetooth Speaker by 1byone can follow you literally anywhere, even to the shower. It has a modern, stylish design which is splash-proof and shock-proof. Listen to up to 8 hours of uninterrupted music with the 1,500mAh rechargeable battery. This unit is compatible with any Bluetooth enabled devices or can be used Plug and Play. Comes with high sensitivity buttons, including on/off button, play/pause, call, volume control buttons, and has a built-in microphone for phone calls as well. It is known for it's HD Sound and Bass and delivers excellent sound quality mixed with the effect of a Subwoofer. The Ultra-Bass-Booster delivers a heavy bass while keeping a clear sound. Follow 1byone on Facebook, Twitter or YouTube by clicking one of these links. Contest is open to US residents only,18+ (ends March 18th, 2016 at 11:59pm EST). All entries unless otherwise noted are optional. Please enter the giveaway form below. The winner will be emailed and have 48 hours to respond or a new winner will be chosen. Good luck! Can't wait to see if you've won, you can purchase 1byone Portable Bluetooth Speaker here. 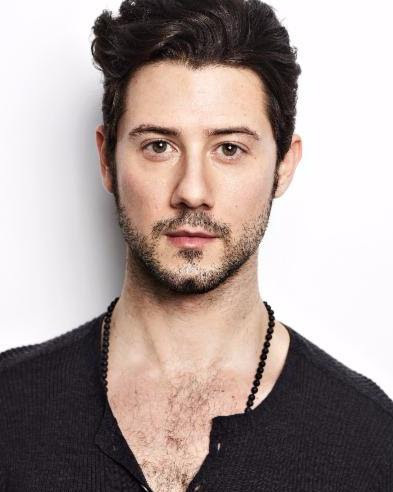 Hollywood's Leading Man & Star of Syfy/Showcase's (Canada) "THE MAGICIANS"
Audiences are going to be instantly addicted to broodingly handsome Hale Appleman for his breakout role and undeniable standout performance in Syfy/Showcase's (Canada) dark and gritty, new fantasy drama, "The Magicians," which premiered on Monday, January 25th in the United States and Canada and has already been renewed for a second season. His commanding and brilliant performance as the complex and deceptive magician 'Eliot Waugh' steals the show and proves that he is Hollywood's next great leading man. As unofficial ring leader to the students at Brakebills College for Magical Pedagogy, a secret upstate New York university specializing in magic, Eliot calls all the shots and no one dares to second guess him. He is a massive series of contradictions: both masculine and feminine, nurturing and harsh, confident and vulnerable. 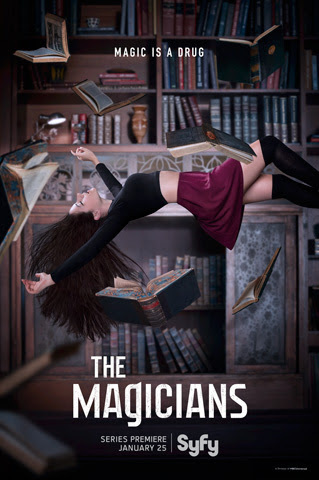 Described as "hotly anticipated" by Variety and "terrific" by Forbes, the series is based on the New York Times best-selling trilogy of the same name by Lev Grossman, looking at magic through a dark lens and following a group of oddballs and misfits on their unpredictable adventures. The show opens with Quentin Coldwater (Jason Ralph), a brilliant graduate student who enrolls in the secret magic university. He and his 20-something friends soon discover that the fantasy world they read about as children is all too real. But unlike the fairytales, magic can pose a grave danger to humanity. Born and raised in New York City, Appleman has had some of the most elite professional training to master his acting craft. He graduated from the famed LaGuardia High School of Performing Arts and studied at Carnegie Mellon University's prestigious School of Drama. He made his film debut in Chad Lowe's feature BEAUTIFUL OHIO opposite, Willian Hurt. Additionally, Appleman played "Tobey" in the 2007 film TEETH. On stage, Appleman starred in Jeff Buckley's The Last Goodbye, directed by Alex Timbers' at the Old Globe in San Diego, the New York premiere of Sarah Ruhl's Passion Play as Jesus and the revival of David Rabe's Streamers on Broadway. ► Live Well Series and Jeff Gold Music – Sleep Well For Kids – Under The Sea. Contest is open to US residents only,18+ (ends March 20th, 2016 at 11:59pm EST). All entries unless otherwise noted are optional. Please enter the giveaway form below. The winner will be emailed and have 48 hours to respond or a new winner will be chosen. Good luck!